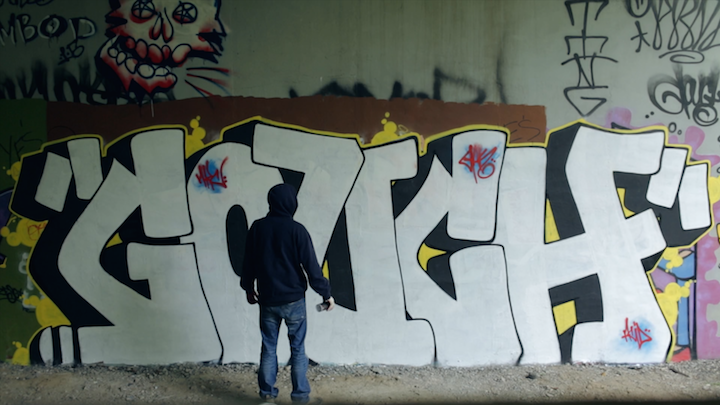 Directed by Queens-based filmmaker Raul Buitrago, the recently released GOUCH is a sensitive, gripping portrait of a Brooklyn graffiti bomber living a dual life. After viewing the short, insightful documentary — chosen as a Vimeo Staff Pick — I had the opportunity to speak to Raul. What drew you to graffiti? You obviously have a deep understanding and appreciation of its culture. Growing up in Eastern Queens in the 90’s, I was exposed to graffiti early on. Graffiti was part of the punk and skateboard culture that was all around me. And I found myself gravitating to it. And what about this particular writer? Why did you choose Gouch? And how did you connect with him? Gouch was one of my personal favorite graffiti writers while growing up. His style and flow are incredible. I’d known about Gouch years before I reached out to him. He was featured in the legendary State Your Name DVD, and it was in that video that I first saw him in action. 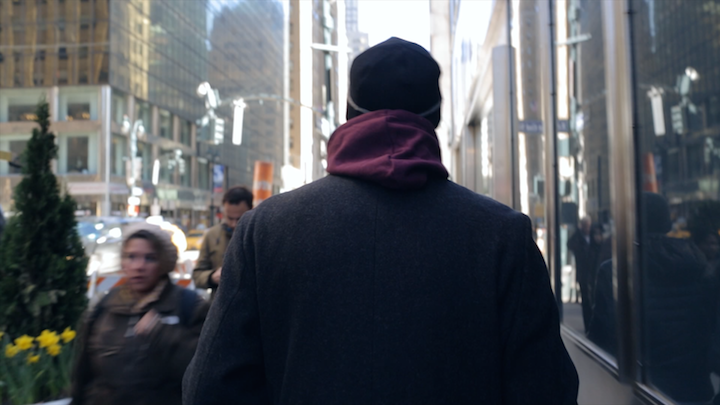 The footage was raw, gritty and true NY graff to the max. I contacted him via his Instagram in 2014. Are there any issues regarding graffiti that particularly engage you? Any messages you wish to convey to your viewers? As a fan and student of graffiti culture, I’m interested in its power to lure seemingly ordinary people. Its sway is amazing – and the way it always seems to call you back. So often, it becomes an obsession. I also find it very interesting that it can be glorified and vilified at the same time. Graffiti has made its way onto advertisements, clothing and other forms of branding while some of its practitioners end up doing time in Rikers Island. Graffiti is used for commercial purposes because it has that edge that can’t be found in other artistic realms. It’s unfortunate that big companies are profiting off something that’s created through the toils and risks of people who have such a deep appreciation, knowledge and ability in something so historically rich. Yes, that is unfortunate, and it is something I’ve thought about quite a bit. It is — obviously — graffiti’s aspect of illegality that gives it that edge…You clearly won Gouch’s trust. I imagine that might have been your greatest challenge. What were some of the other challenges you faced in producing GOUCH? As it was my first documentary, I was learning how to do it as I was doing it! I’d previously focused on music videos. That was my greatest challenge. Gaining Gouch‘s trust was actually incredibly easy. 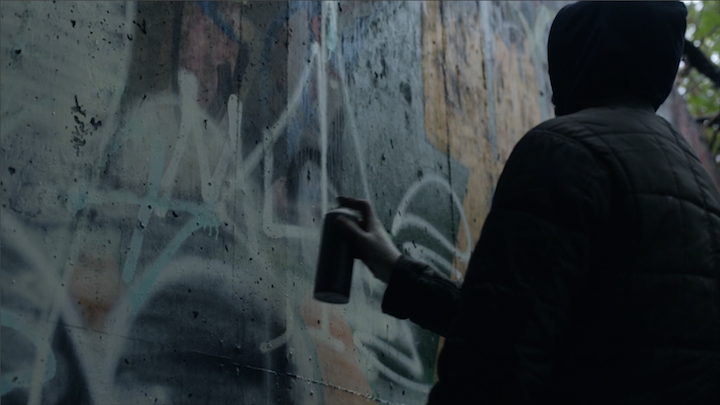 Upon first meeting, we spoke about graffiti at length. Because of my knowledge about the culture and my previous video work, he knew he could trust me. Other challenges I faced included coordinating schedules and making sure that his family was comfortable throughout the filming process. It was important to me that they be comfortable with the finished project since it’s so personal. Have you a formal education in filmmaking? I studied Photography at NYU, but I never studied filmmaking. I’m a self-taught filmmaker. How long did it take you to produce GOUCH? When I first met up with Gouch, I thought I would produce a two – three minute video. But it evolved into something far more, and I ended up working on it for one and a half years. I’m so glad it worked out that way! Gouch – in all his complexity — is certainly worth knowing. And the music by Jazzsoon that accompanies your film perfectly complements it. I find myself viewing it again and again! You can view the film in its entirety here.